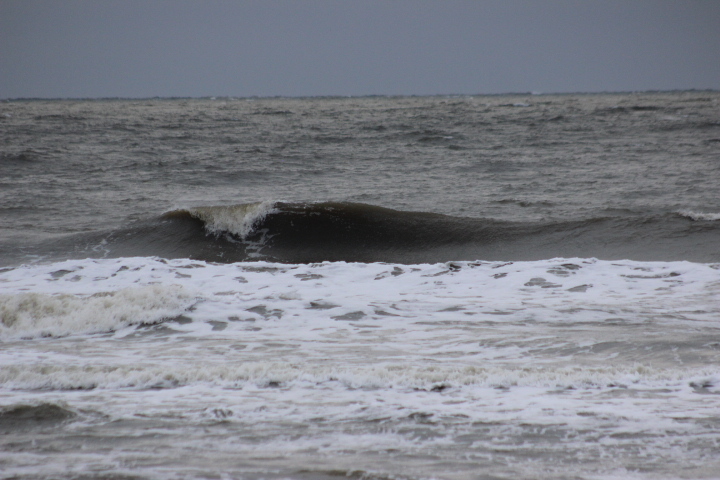 Good morning, this is Luke with your Ocean Surf Shop surf report and forecast for Sunday, February 10th at 8:30 a.m. 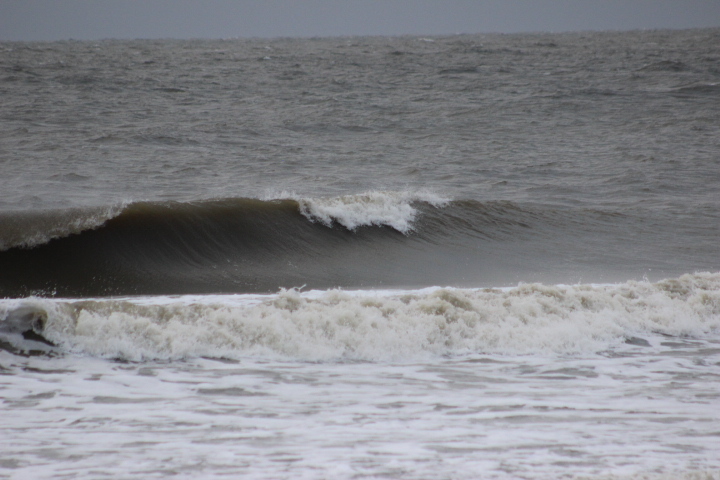 Waves at the Washout this morning are thigh to waist high with a plus set. Lots of current running down the beach. 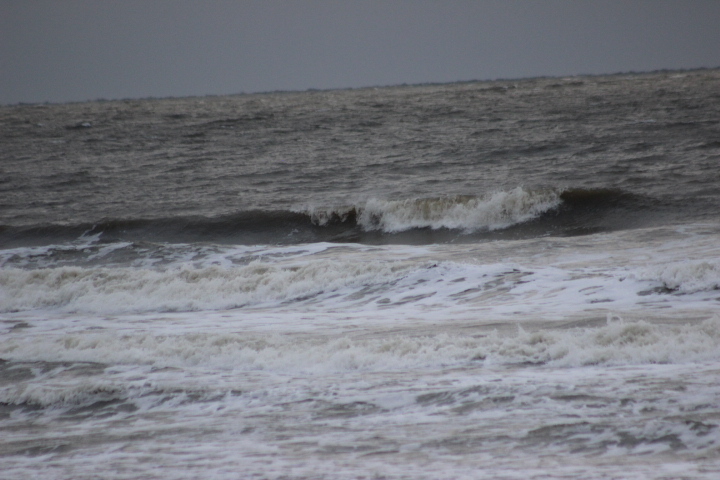 Winds are NNE at about 15+ knots creating some drift and chop to the surf-zone surface. Look for NNE winds through the day and should begin to lighten up. 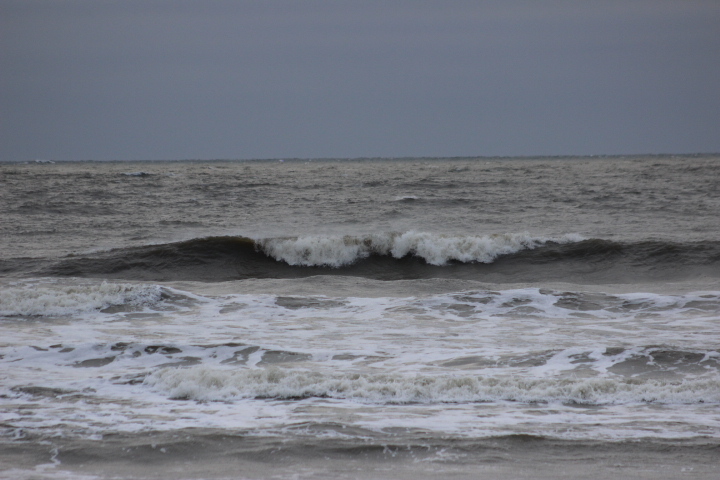 High tide will be at 11:00 a.m., and low tide will be at 5:20 p.m. 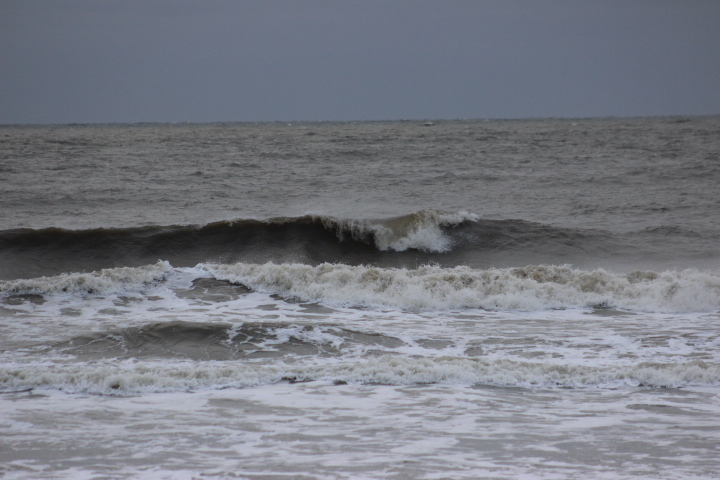 The Edisto buoy is reading 8.5 ft. at 6 sec. 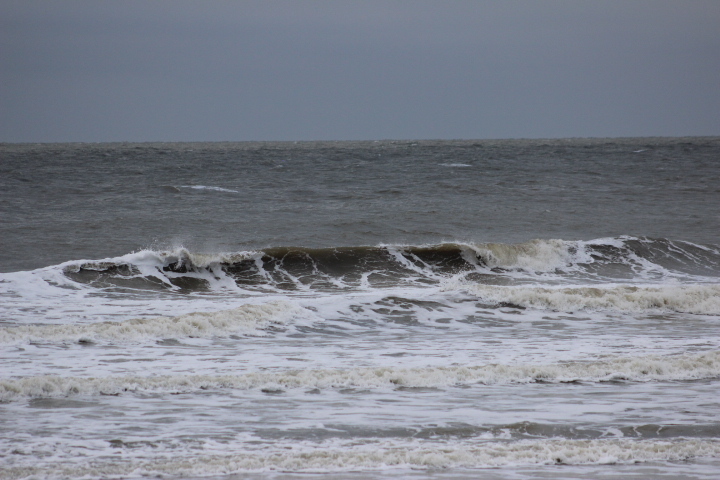 in ENE wind-swell. 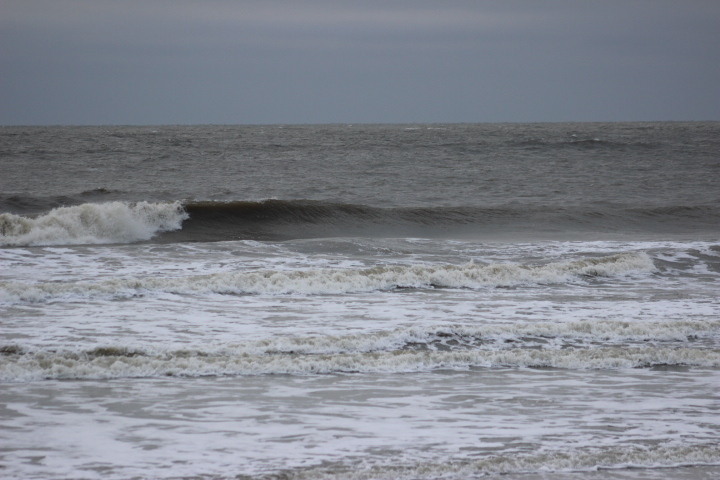 We have choppy/drifty NE wind-swell running waist+ this morning. It is not ideal but, enough to get wet for sure. 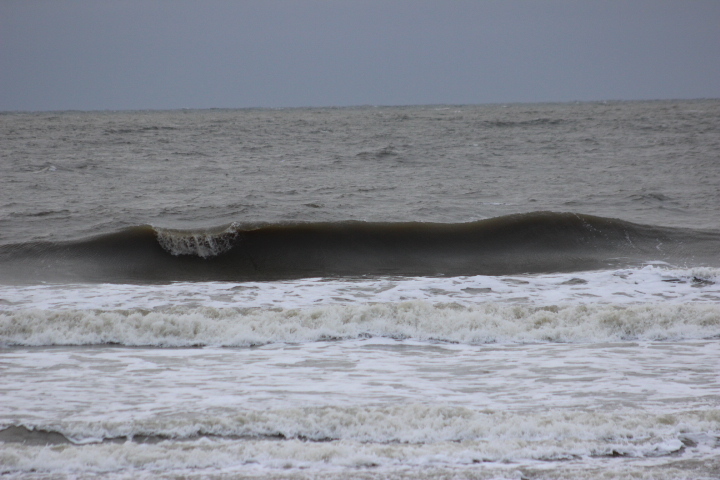 Best bet today is late morning with the help of the incoming tide. This swell rotates on-shore from the south/south-east on Monday into Tuesday so we may see smaller but cleaner surf to start the week. Long range we look to see a large south swell hit our area next weekend. We will keep you posted. Your NOAA Marine Weather Forecast for our marine area calls for: “High pressure will prevail today. A warm front will lift north through the area Monday, followed by a cold front late Tuesday. High pressure returns for the middle of the week, before a storm system brings impacts to the area late in the week. It’s 43* and cloudy skies this morning. Look for a high of 58* with clouds this afternoon. Water temperature is back up to a balmy 55*. Sunrise is around 7:08 a.m. and sunset will be at 5:58 p.m.